If there is one chore that Moms are familiar with, it's laundry. For many of us, it's a daily occurrence that gives new meaning to the phrase "spin cycle!" That's why it's not surprising that laundry rooms are among the most frequented areas of the house for Mom....unfortunately, they tend to also be some of the most uninspired rooms in the home when it comes to design. Luckily, Wisk Laundry Detergent understands and wants to help! If your laundry room is plain and boring or a downright dungeon, you just might be in desperate need of a laundry room makeover. 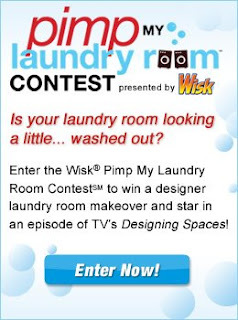 Wisk Laundry Detergent is teaming up with TV's Designing Spaces to pimp-out one laundry room in dire need of a face-lift as part of the "Wisk Pimp My Laundry Room" video contest. Just enter a short video anytime between March 1 and March 29 at LaundryHE.com explaining why you deserve a laundry room makeover and Wisk could be on your doorstep with their partners-in-design, Whirlpool's DreamLaundry Solutions team led by Bill Thomas and Emily Johnston, owner of the interior design firm EJ Interiors and founder of Materials Girls Blog. Together, they'll take your laundry room from drab to fab in no time thanks to a laundry room makeover complete with a new Whirlpool High Efficiency (HE) washer/dryer set and a year's worth of Wisk HE Laundry Detergent. Even better, you'll get to star in your very own episode of Designing Spaces! The top Finalists will be featured on LaundryHE.com from April 12 - 19 and the Grand Prize Winner will be chosen by popular ballot - so be sure to get your friends and family online and voting! Even better, a vote is an automatic entry to a sweepstakes for a year's supply of Wisk HE Laundry Detergent! Check out the website for full rules and to enter! Disclosure: I am posting about this contest for one, to let you know about it and for two, to enter to win a bottle of detergent and/or a year's worth of detergent from Wisk. 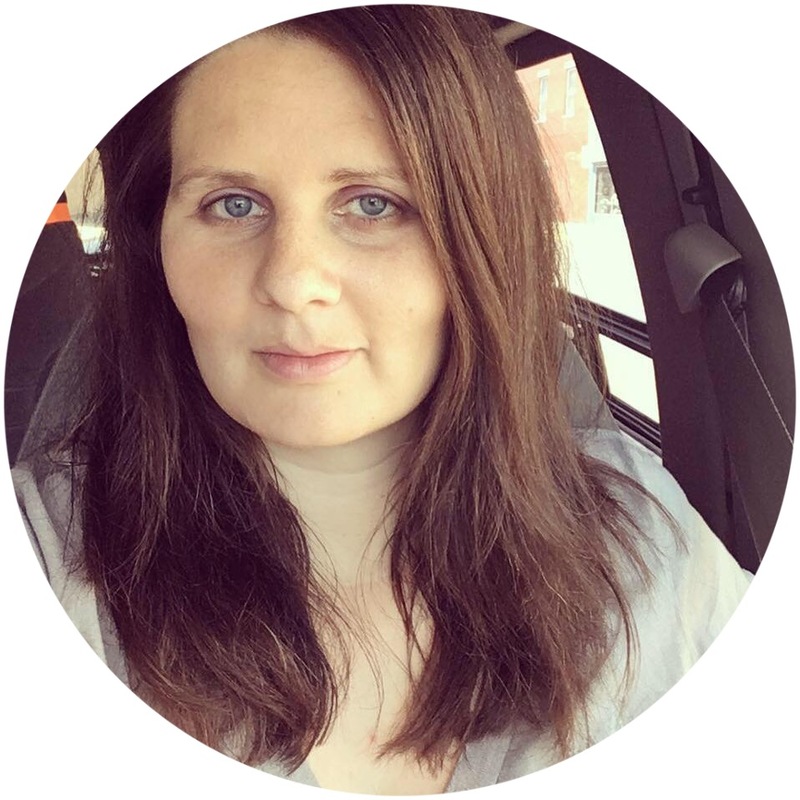 all about inspiring people to think differently about their laundry rooms. Well, I guess it would just depend on your personal preferences - what colors and styles you like, what kind of laundry system you have or would like to have, what kind of storage you want to use, etc.